This gradual development culminates in the celebration of the initiation sacraments of Baptism, Confirmation and the Eucharist at the Easter Vigil. Who may participate in the RCIA? The Rite is designed primarily for those seeking Baptism; that is those not baptized previously. However, because of the nature of conversion as an ongoing reality, the RCIA can be adapted for those baptized in other Christian denominations, now seeking membership in the Roman Catholic Church. At Corpus Christi Parish, adults baptized in the Catholic faith but not confirmed are also welcomed through the RCIA process. 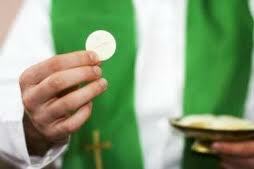 What are the basic principles of the RCIA? The principles deduced from the early Church initiation practice, are the basic guidelines from which the RCIA has been created. The core reality of Christian initiation is conversion. process and not a program. responsibility of the entire community. The primary subject of the process is the adult. The Word of God is central to the formation process. experience of the Church’s dominant symbols. The Best Catholic content. All in One Place. Now Every Parishioner Can Experience Hundreds of Hours Viewing, Reading, and Listening to the Best Catholic Content. Inform your mind and transform your heart with over 300 episodes of beautiful and compelling video series. Hear your favorite Catholic speakers addressing the many topics you care about in over 40 hours of audio content. 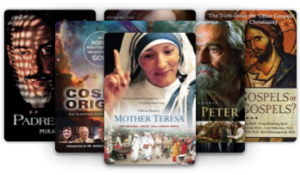 Enjoy dozens feature-length movies that are faith-encouraging for you and your family. 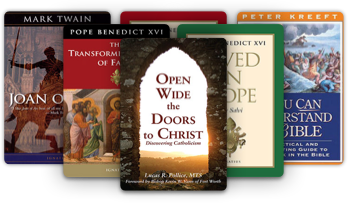 Dive into eBooks from today’s top Catholic publishers that are motivating and spiritually-enriching. The Biblical Institute of the Diocese of Joliet is a 4-year program to study every book of the Bible. We use one of the best Catholic Bible studies ever developed for learning Scripture in a systematic way, the Catholic Biblical School Program (Paulist Press). Students earn certificates in Basic Biblical Studies (2 years) and Advanced Biblical Studies (4 years), from this nationally recognized program.. Try the first two years (Old Testament and New Testament Foundations) and decide later whether to stay for Years 3 and 4 (the rest of the Bible). The Biblical Institute is for everyone! Some of our students serve their parishes as catechists, lectors, or Bible study facilitators. Many people join us with no Bible study background at all. If you bring a commitment to learning and a desire for deeper understanding of God’s Word, we’ll give you what you need to successfully participate in the program. We also welcome interested fellow Christians, so mention us to neighbors and friends! You’ll study the Bible as a whole and in its parts from a Catholic point of view, with experienced teachers, and within a Catholic faith community. If you have questions, please call the Diocese of Joliet Religious Education office at 815-221-6147. The Diocese of Joliet Office of Lay Formation’s Newman Institute offers “Foundations of the Faith” at parishes throughout the diocese. 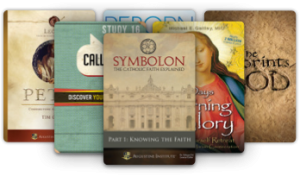 “Foundations” is a series of mini-courses focused on evangelization, the universal call to holiness and the Catechism of the Catholic Church. These courses are open to any interested parishioner for ongoing faith formation and catechist certification. Highly qualified members of the Diocese of Joliet who have advanced degrees in Theology, who have experience in ministry, and who have completed the Newman Institute’s training and formation process. There is no cost to the participant or the hosting parish or school since the instructor’s stipend will be covered by the diocese. Courses are designed in an “adult learning” model. Participants should be prepared for a variety of activities and small group discussions. Course Description: Jesus reveals the self-giving and self-sacrificing love of God, and he calls his disciples to bring the good news of the Kingdom of God to the entire world. The new evangelization is an invitation to hear this good news of the Gospel again, as if for the first time; it is a call to re-encounter the living Lord in and through the Church. This course will help participants continue to answer their personal call to holiness, to explore the responsibility of all baptized Catholics to spread the Good News, and to contribute to the Church’s mission of bringing all people to Christ. Course Description: Teaching the faith in a systematic and organic way requires that catechists imitate the way that God draws us to Himself—that is, by preparing the setting and audience for an encounter with Christ, by proclaiming the truth to be examined, by explaining this “good news” in greater depth, and by relating it to everyday life. Course Description: The Creed summarizes the most fundamental truths of our faith which have been handed down to us from Christ, in and through the Church. By beginning to unpack the fundamental doctrines of Chrisianity, this course helps participants continue to grow in understanding of both the Triune God of Love and the call to build the Kingdom of God. Course Description: The mysteries professed in the Creed are communicated and actualized in the Sacraments of the Church. By providing participants with a deeper understanding of the divine origin, nature and central role of the Sacraments, this course will help participants grow in understanding of their role in the sacramental mission of the Church. (Gal 2:20). What the Creed professes and the Sacraments communicate, the Christian moral life enacts—thanks to the grace of Christ and the gifts of the Holy Spirit. 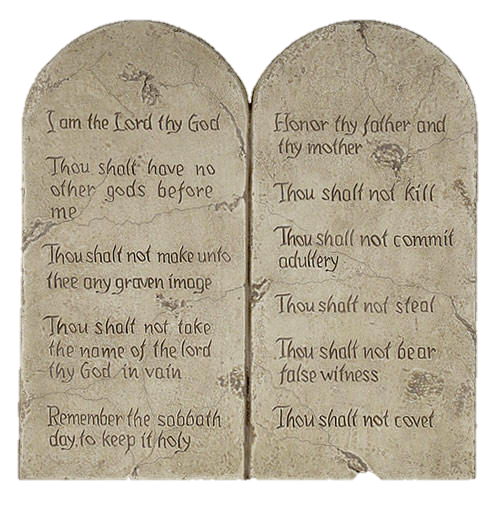 This course explores Christian moral principles by beginning with the dignity and vocation of the human person created in the image and likeness of God; it addresses key concepts such as freedom, responsibility, moral conscience, virtue and vice, law and grace, and the Beatitudes; it concludes with an overview of the Ten Commandments as the basis of our moral life in Christ. Course Description: Prayer is the loving communication between the human person and the living and true God. 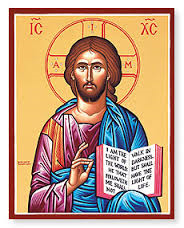 “Prayer is Christian insofar as it is communion with Christ nd extends throughout the Church, which is his Body,” explains the Catechism: “Its dimensions are those of Christ’s love” (CCC, n. 2565). This course will explore the universal call to prayer, which is written in our hearts by our Creator, as well as the various expressions of prayer, and the greatest of all prayers—the Our Father. The course will also model various approaches to Catholic prayer. Formerly known as the St. Francis Retreat House in Oak Brook, Illinois, Mayslake Ministries is a lay based 501.c.3 Not-for Profit organization founded by Fr. Jonathan Foster, OFM, in 1991 as a “retreat house without walls.” For the past twenty years, Mayslake Ministries has served the spiritual needs of Christian/Catholic men and women from all walks of life. Offering a wide variety of spiritual enrichment programs and retreats, Mayslake Ministries provides a tranquil environment for all people who seek a deeper relationship with Jesus Christ. Mayslake Ministries is a nonprofit lay led Catholic/Christian ministry where ordinary gifted people are doing the extraordinary work of God.